Firefly are offering customers the chance to order a second set (repeat order) of custom made foot orthoses at a discounted rate. We’re offering 25% off the listed price of a second set of custom made orthoses for the month of June – where we have the patient’s food data on record from a previous order. 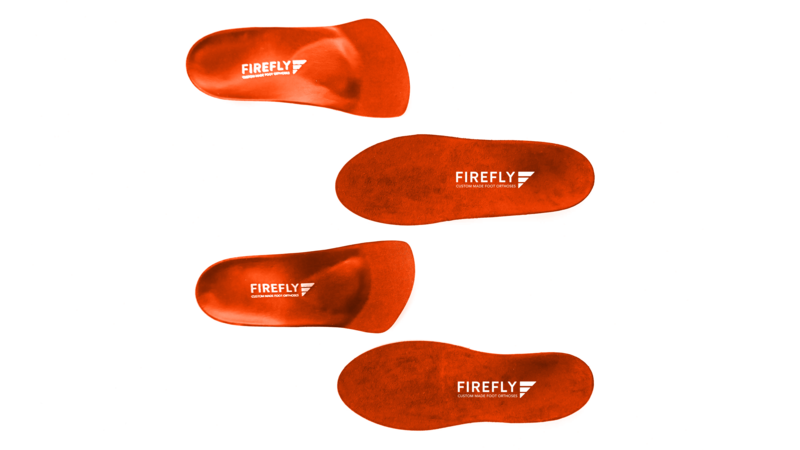 You have fitted a set of Firefly Custom Made Foot Orthoses for a patient, prescribed specifically for the dress shoes they wear to work each day. The patient wears the orthoses for a number of weeks and begins to experience positive results. As the patient is quite sporty, you know they could benefit from Firefly custom made orthoses in their sport footwear. For whatever reason, maybe cost or time constraints, they have not been prescribed a second set. The promotion runs between Friday June 1st and Friday June 29th and offers you a chance to re-engage those patients you know can benefit from a second set of custom made orthoses. When placing your second set order make sure to quote the code “SUM25” on the order form or, if you phone in your second set orders, make sure to mention “SUM25” to avail of this discount. Without this, the discount will not be applied! If you wish to find out more about this promotion contact us by phone on 00353 71 91 49494 or by email, info@firefly.ie.